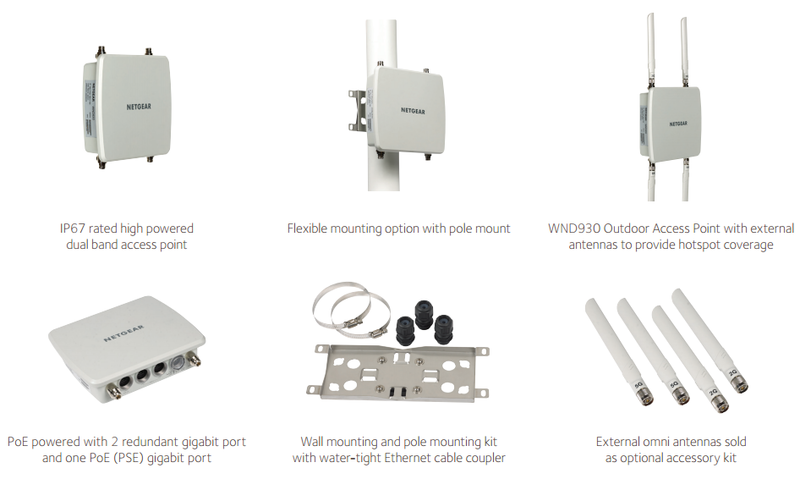 The WND930 Outdoor Access Point is a dual band concurrent 802.11n Outdoor Access Point that combines high power, optimal high gain antennas, and an industrial grade enclosure for optimal outdoor deployment. The WND930 Outdoor Access Point is powered by redundant dual Power over Ethernet (PoE) gigabit ports as well as the capability to power other PoE devices. The WND930 Outdoor Access Point operates under harsh environment with its industrial grade IP67 enclosure and an embedded heater to allow the Access Point to operate in below freezing point temperature. The WND930 Outdoor Access Point is ideal for hotels, resorts, schools, multi-dwelling apartments, and other locations needing high throughput, high capacity outdoor coverages. 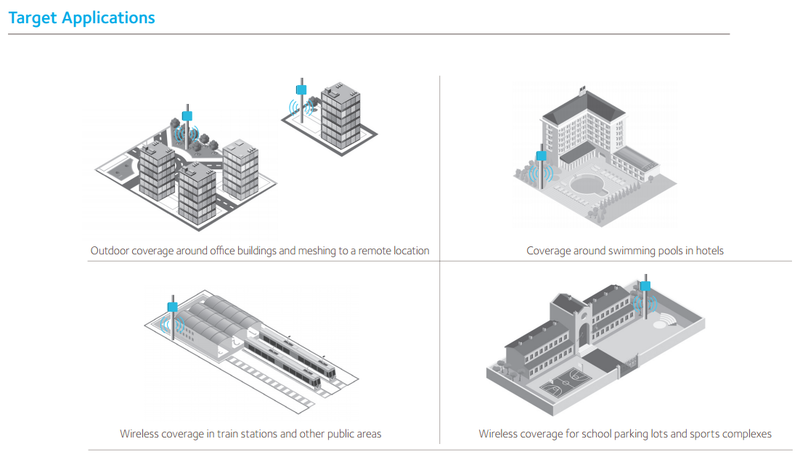 The WND930 Outdoor Access Point can operate either as a point-to -point mesh link between remote locations or as an Access Point providing coverages for users. 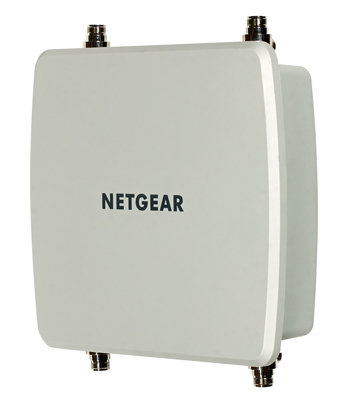 As with all NETGEAR wireless products, the WND930 Outdoor Access Point is designed with an easy setup for a reliable, high performance and affordable total cost of ownership. * 2-Year Warranties cover hardware, fans, and internal power supplies - not external power supplies or software. Warranty is only valid for the original purchaser, and modifications to product may void the warranty. See http://www.netgear.com/about/warranty/ for details. Basic phone support for 90 days from purchase and lifetime online chat support when purchased from a NETGEAR authorized reseller. Download the NETGEAR WND930 Datasheet (PDF).